The state's first open-ocean seaweed farm could be a delicious solution to global food insecurity. 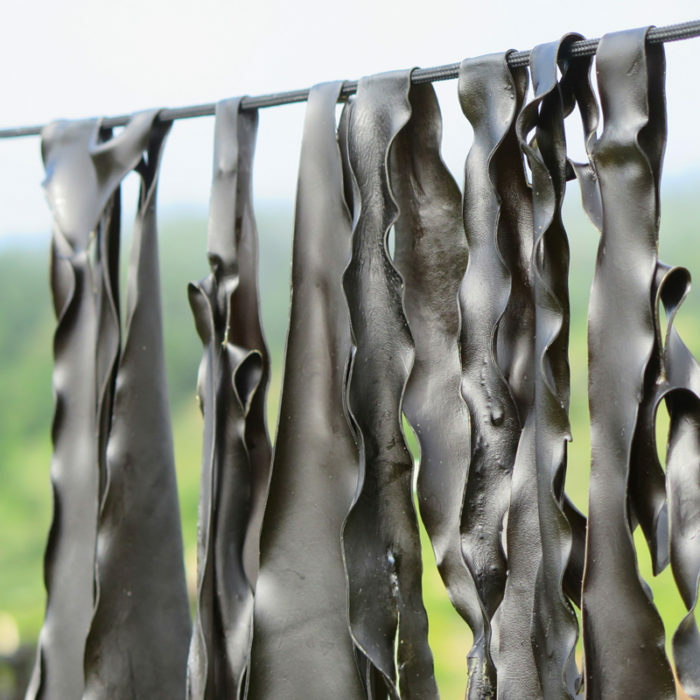 It’s hard to imagine that the famed California coastline could still hold a “best-kept secret.” But beyond the scenic beaches and sand volleyball courts, there is a whole lot of what could very well become the Golden State’s next big thing: seaweed. 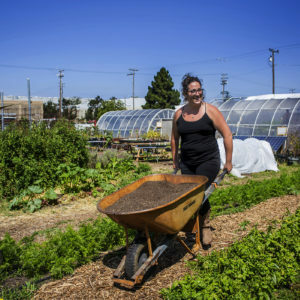 California is an agricultural powerhouse, serving up a third of the country’s vegetables and two-thirds of its fruits and nuts each year. But excitement is growing around the state’s potential for aquaculture as entrepreneurs look to put California seaweed on the international foodie map. 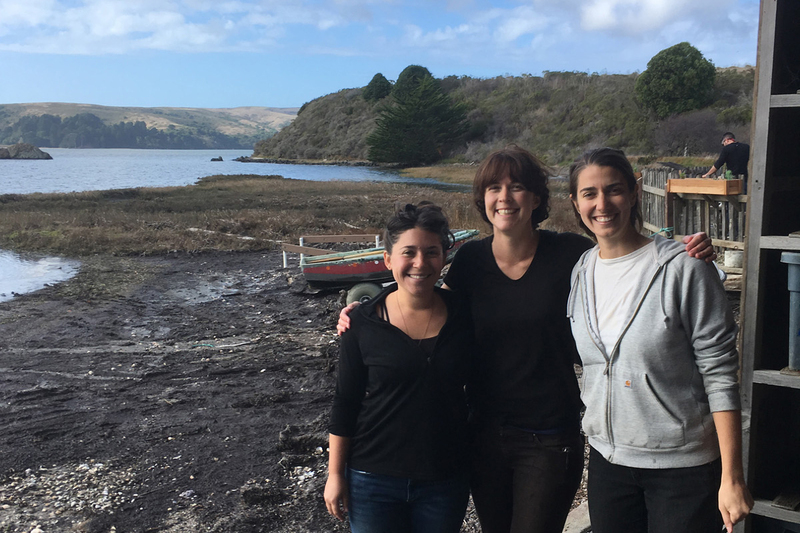 Tessa Emmer, Catherine O’Hare, and Avery Resor constitute the all-female braintrust behind Salt Point Seaweed, a fledgling Bay Area company that launched last June. 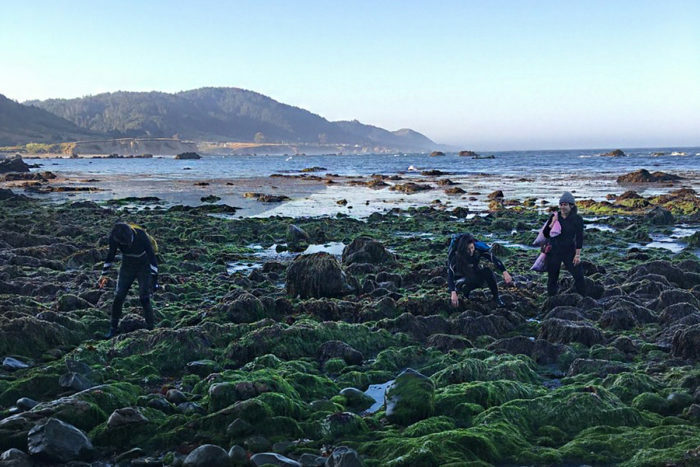 They’ve been harvesting wild seaweed off the coast of Mendocino County, located a few hours north of San Francisco, for two years and selling it to chefs at local restaurants, seafood CSAs, and at retail. Now, they’re striving to become the first West Coast seaweed farming operation to establish an active, open-water farm. 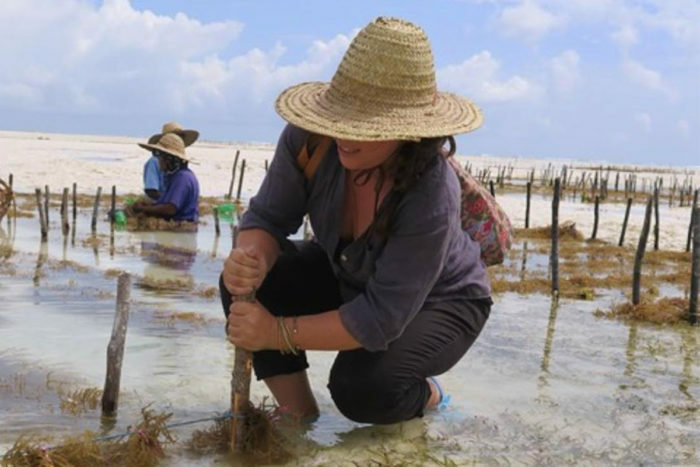 The idea to launch a sustainable seaweed syndicate came to Emmer, O’Hare, and Resor after living in East Africa and witnessing the burgeoning role of seaweed in those communities—as local fishing stock dwindled, resourceful women had found a reliable replacement in seaweed. Seaweed grows rapidly and easily without help from external inputs. 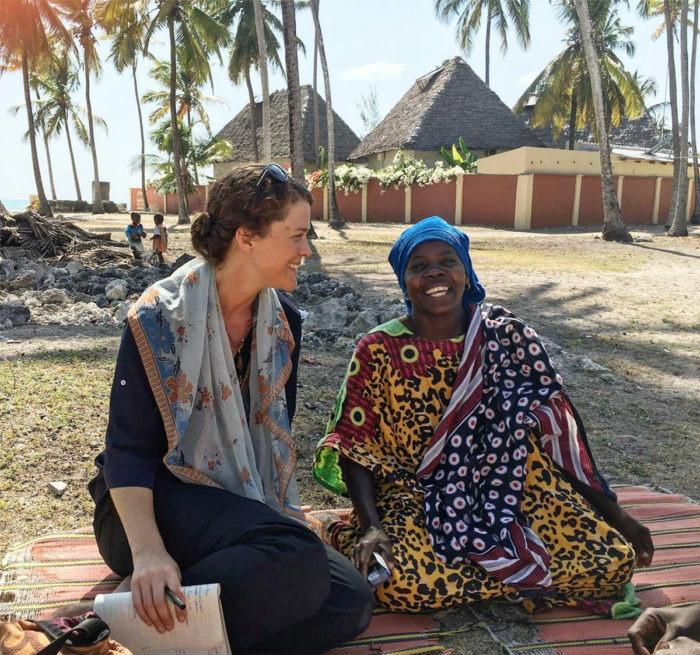 Emmer and Resor, who share a background in natural resource management, drew inspiration from a hardscrabble female aquafarming operation in Zanzibar. What’s more, seaweed could be a major asset in the fight against climate change, ocean acidification, and the decimation of aquatic ecosystems via unsustainable fishing and farming techniques. The plant readily absorbs phosphorous, nitrogen, and carbon dioxide from the ocean, de-acidifying the water and making it more hospitable for other marine species like shellfish. It is also a protein-rich food and boasts more than 25 vitamins and 50 minerals. Plus, seaweed has shown promise as a substitute for fossil fuels. A 2016 World Bank report also cited seaweed’s massive potential, noting that its annual global production could reach 500 million dry tons by 2050, if the market is able to increase its harvest by 14 percent per year. Hitting that 500 million mark, the World Bank reports, would increase the world’s food supply by 10 percent from its current level, helping to feed the world’s growing population and create 50 million direct jobs in the process, which “could represent a transformational change in the global food security equation and in the way we view and use the oceans.” Annual global seaweed production—which nets around 12 million tons (about three-quarters of which comes from China)—is estimated to be worth more than $6 billion. Still, on the West Coast, where rising ocean temperatures and overfishing are wreaking havoc on ecosystems and diminishing natural seaweed stocks, seaweed farming is basically nonexistent. Though seaweed has seen a rise in popularity, more than 90 percent of the seaweed we eat in this country is imported from Asia. Yet, similar species grow in abundance right in California. There’s a local strain of kombu, used primarily in miso soups, as well as a local wakame, popular in seaweed salad. California is home to a number of other unique and desirable seaweed species. The women of Salt Point are hoping to make a name for these local varieties. While keeping up their harvesting, they’ve also launched a pilot program, in tandem with Hog Island Oyster Farm in Northern California’s Tomales Bay, where they’ll grow seaweed alongside shellfish on long floating ropes. They’re focusing their efforts on Gracilaria, a red seaweed coveted for use in the eminently trendy poke bowl. “There’s not that much information about how to farm this,” Emmer says, “so it’s a work in progress.” Once Pacific herring nesting season ends this February, they will affix the seaweed to lines, formalizing the first such polyculture farm on the West Coast. The project is not entirely without precedent. Small seaweed farms have been popping up in Maine and the Long Island Sound, many relying on a polyculture model pioneered by University of Connecticut professor Charlie Yarish. Indeed, Salt Point owes a debt of gratitude to forebears like Bren Smith’s 3-D ocean farm, Thimble Island Oyster Company, a pathbreaking oyster and seaweed aquaculture operation in New York that has garnered national attention (the fruits of Smith’s labor have also surfaced on menus at some of New York City’s trendiest restaurants). But the East Coast allows seaweed farmers to rent aquatic acres—which is not the case out west, where the permitting process has heretofore kept seaweed cultivation in private tanks, on land. Of course, seaweed is not a panacea for a highly unsustainable food system. And its production comes with inherent risks: A document produced by the UN’s Food and Agriculture Organization warns that converting ocean plots into active farms could disrupt extant habitats, though research on that is limited. If non-native species were introduced to native ecosystems, that could be a disruptive force. Still, with no fertilizers, no pesticides, and no freshwater required, there’s reason for aquafarmers to get excited. And the stuff grows fast. 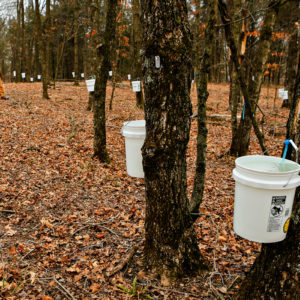 “The species we’re growing will double in mass every two weeks,” O’Hare says. This article originally appeared in Sierra Magazine, and is reprinted with permission. Wondering about pollutants in the water and whether/how they are taken up in seaweed? Obviously oil spills are a problem but they’re more localized (even if “local” is a pretty large area). Is the water in which the seaweed is grown pure, or is it polluted? There's a fine line between poaching and farming... So many negative environmental consequences can be created directly and indirectly if we're foolish enough to allow so-called "sustainable sea weed harvesting." And clearly in this article there is an awareness of an over-fishing crisis, but a total lack of awareness that seaweed is habitat that many of these threatened fish depend on. And as always any capitalist entrepreneur will convince themselves that they aren't going to have an impact on habitat, but truth is, they open the door to those who do. Along the coast of California a couple decades ago the first giant ships scoured our coastline sucking up every last piece of seaweed their ship could reach. Not sure what happened in California after I moved North, but marine sanctuaries and keeping seaweed harvesting out of these reserves has been essential to the rebound of the ocean ecosystem in these reserves and the seaweed farmers in this article are unwittingly undermining those protection efforts. Similarly up in British Columbia a decade ago these giant ships started harvesting all the seaweed they could grab eventually causing a massive drop in Krill productivity, which is starving whales and Salmon to death/extinction. These so-called "sustainable" farmers are advocating for something as responsible as trusting a child with strike anywhere matches in a room soaked in gasoline. Totally irresponsible and not at all mined towards ecological... And even worse the author of this article didn't even challenge them on this point. Shameful!!!! What a fascinating story. Love what you’ve done. If i can help out in any way please let me know ,i would love to put in time and work. This is the best way in my eyes to healing this earth. 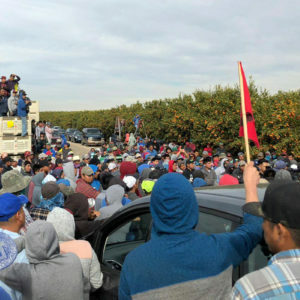 News from Native California has an excellent response to and different viewpoint from this article. I recommend the Summer 2018 issue. I heard you folks interviewed on MPR awhile back. I've had you and your work on my mind since then. I was wondering if you have any job openings. I work in corporate america but am an avid paddle-boarder and am yearning to work in an environment like yours. I appreciate any advise you may have. I am a good worker. My parents owned resorts while I was a kid growing up and worked for many years. Thank you for your time. You can find me on facebook and LinkedIn.